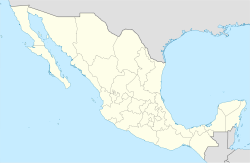 Tamazulapam del Espíritu Santo is a toun an municipality in Oaxaca in sooth-wastren Mexico. The municipality is at a altitude o 2,040 metres. It is pairt o the Sierra Mixe destrict athin the Sierra Norte de Oaxaca Region. The municipality haes a total population o 6,908, and the town has a population of 2,372. This page wis last eeditit on 11 Mairch 2018, at 11:52.